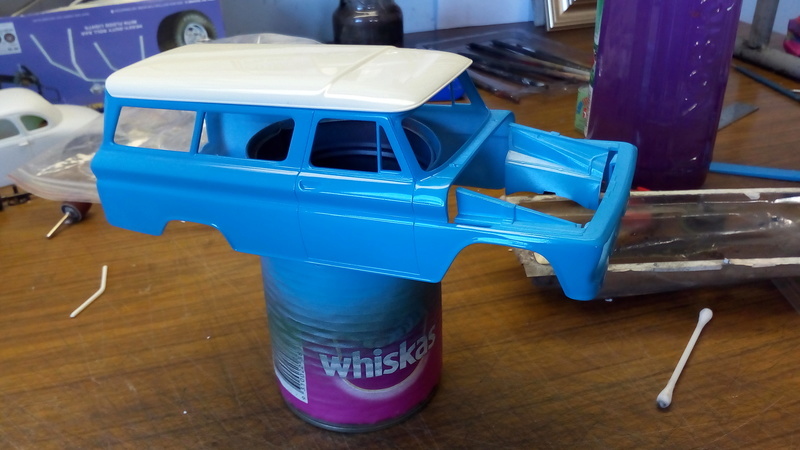 Revell's take on the '66 Suburban. 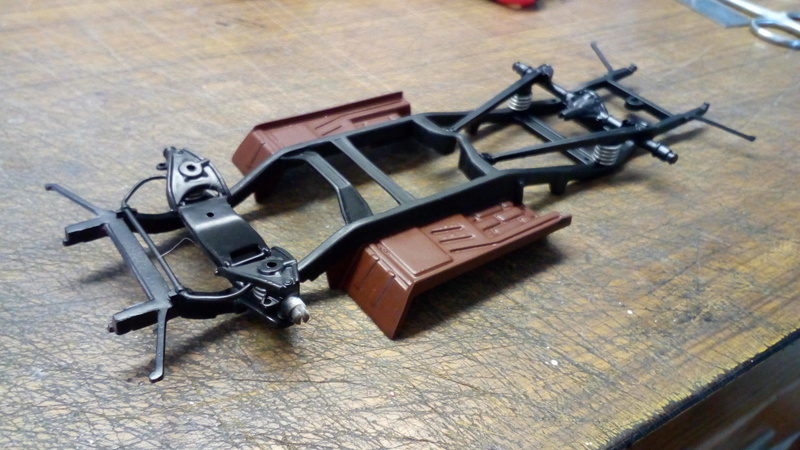 Looks a good kit thus far. The shocks could stand some improvement, and the wide whitewalls will go, replaced by thinner ones, but other than that a good kit. Easy two toning, as the roof is a separate piece. Strictly speaking, the pillars should be white too, but it was too easy to do it my way. OTB chassis, other than some coils wound from solder. Superb paint finish and great colour. Nice paint choice for the period. Real clean looking build, I like the colour. Nice and bright. May I ask what colour was used here? I'm guessing light blue, or brilliant blue? 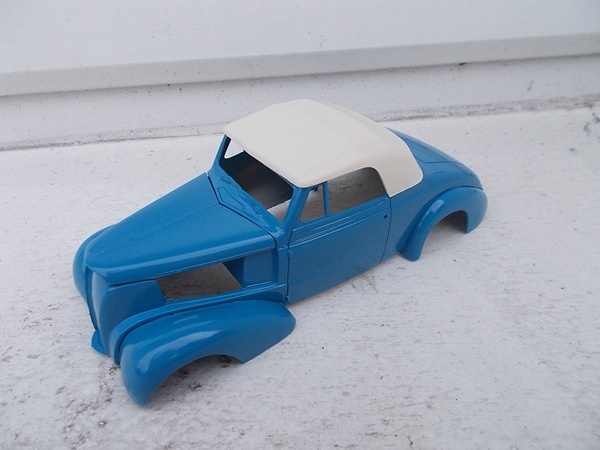 Halfords Ford Wedgewood Blue is very similar Dave. Dave, it's Tamiya French Blue. Very close to an OEM colour of the era too. Looking great. Love the color. Excellent start! And at risk of being repetitive, that colour combo is superb! 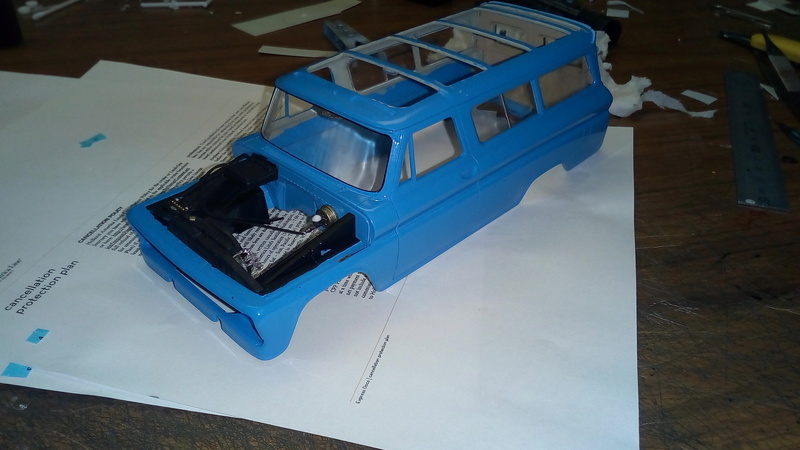 Glad Revell is doing an old Suburban!!!! Many possible applications. How cool is that?! Back to the paint 'booth' (my wheelie bin in the back yard!) I was polishing it in front of the TV. Never again. One rub through and one thin spot. Naughty potty words ensued. 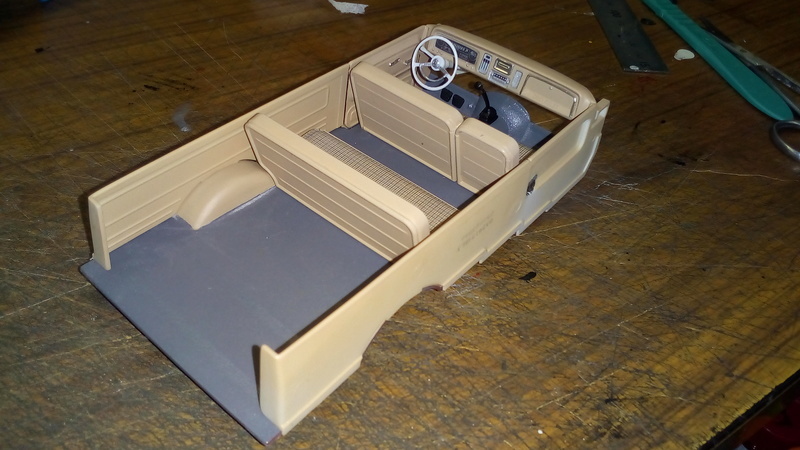 On the other hand, the interior is looking good. 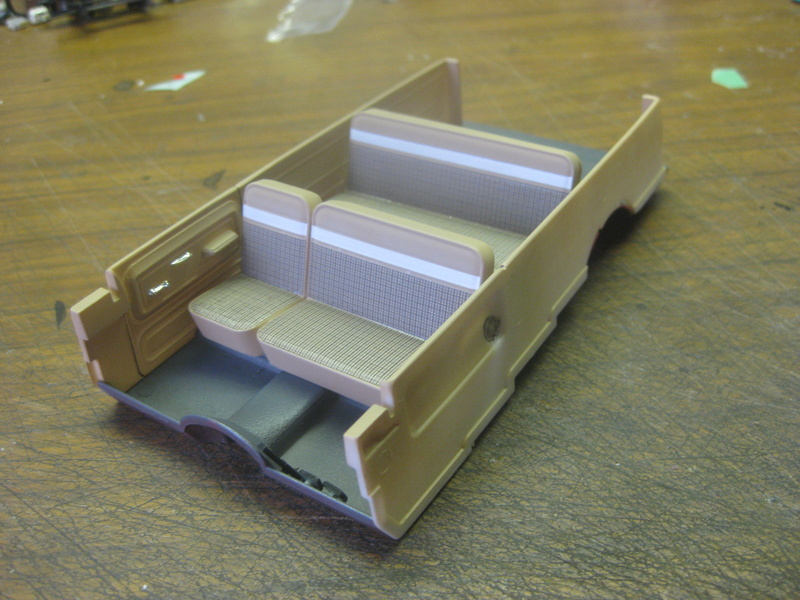 Revell kindly include the seat pattern decals. With some decal set and Dulcote, they've come up well I reckon. Too bad to hear about the paint/polishing mishap. The interior is looking great. Good luck sorting the paint out. Got it sanded today. If the wet easter predicted fails to eventuate I'll get it repainted. In the meantime, there's plenty of other builds on the bench! Great work Chris, the steering wheel and dash are fantastic. Thanks for the kind words, gents. I'm not sure if the white steering wheel was factory, but I decided to go for it. The floor shifter is my addition as well. Having the roof as a separate piece is a great idea, as it can go on last, after I've loaded the cargo area up with some boxes.